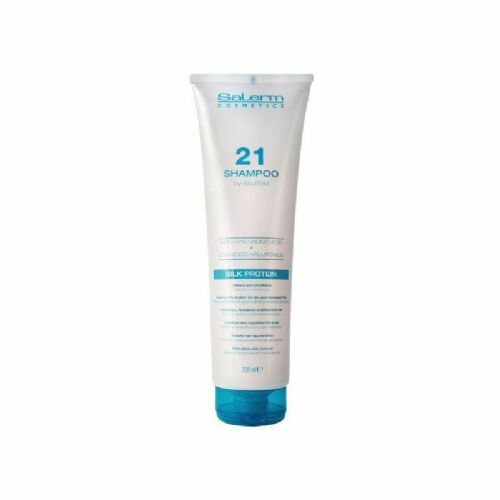 Salerm21 is more than a conditioner or leave-on hydrating mask that instantly revives and treats damaged hair. Its special formula based on silk proteins gets right to the very core of the hair. Leaves hair lively and shiny and is perfect for protecting hair from the sun,heat,pool chlorine and salt water. Silk proteins: repair the hair’s structure deep down. Thanks to their small particle size the proteins penetrate into the hair’s innermost structures. Pro-Vitamin B5: for stronger,renewed,shinier and silkier hair. Top notes of citric and green that evolve into a delicately floral iris. The base is benzoin,patchouli and vanilla that gives it its particular distinctive scent. 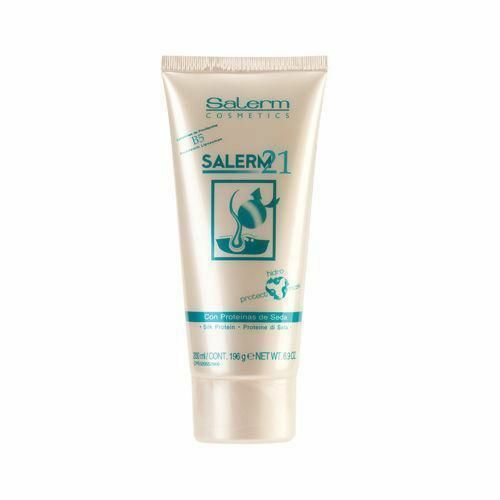 As a hydrating serum; after washing apply a hazelnut sized amount of Salerm 21,paying special attention to ends and badly damaged areas. Do not rinse. As a mask; apply a hazelnut sized amount to clean,damp hair. Leave for 5 minutes then rinse off. For breakage protection; to untangle long hair apply a hazelnut sized amount to dry hair and comb through gently.